A villanelle is a type of poem, loose in form, typically about the rustic beauty and rough love we hold for pastoral subjects. Every arrangement is a tribute to the stories it contains; from the wind-swept grasses collected along highways to the truckloads of flowers unloaded at local markets by farmers committed to sustainable growing practices, each bloom is carefully selected to honor the spirit and the story of the person for whom it is created. I care deeply for the story you share with me, and I want to help you tell it with flowers. Every arrangement begins with a conversation and ends with a creation as unique as you. All of Villanelle’s design packages include a consultation, personalized proposal, and sustainable and ethically-sourced flowers. Intimate ceremony packages beginning at $250. Comprehensive design services beginning at $2000. Custom designs for your event, photo session, or business. No minimum investment. for two wickedly in love souls, featuring some of my favorite vendors, was recently featured in the UK-based wedding blog, Wed In the Wild. I've had the immense pleasure of working with Angelene of Villanelle Floral Company on a number of occasions. She's created several stunning (and more importantly, memorable) bouquets for my clients, crafted unique arrangements combining traditionally unlikely pairings of brass, bones and succulents (it may sound odd, but trust- it was AMAZING), built a romantic, sweeping arch of leaves and blooms that made for the most gorgeous wedding backdrop... the list goes on and on. This girl literally can do it all. Angelene's passion and dedication to her craft is beyond apparent. You see it in her hands, her eyes and in her work. If you're looking for florals infused with heart, thoughtfulness and creativity, hire this woman. Let her tell your story. Angelene is absolutely wonderful to work with. We've collaborated together on several occasions and her work is always impressive. Her impeccable taste and aesthetic paired with her respect for florals and nature is the perfect combination. She treats every design with care and spends the time to make sure it's not only visually beautiful but means something to whom it's made for. I cannot recommend her highly enough! I worked with Angelene on a table-scape project for the Moscow Food Co-op's quarterly magazine, Rooted. I picked Villanelle because Angelene's unique arrangement style is so much more striking and alive than other florists I've seen/worked with in the past. Angelene is what local independent florists should strive to be: creative, innovative, and never, ever, boring. Her shapes and personal floral preferences are gorgeous, and her attention to detail and professionalism made her an absolute delight to work with on-site as well. Our project consultation beforehand was a personal relief. She understood my (very limited and loose) vision clearly, and ran with the ball to create an incredible installation that worked perfectly for my event. She was a delightful presence during the whole shoot: kindly suggesting small changes, professional, calm during a busy day, and receptive to my narrative. I felt like she had everything under control, and she helped me make it all run smoothly. Angelene is an expert at providing excellent customer service at the right price. She's won a client for life here. Working with Angelene was like working with an otherworldly goddess who hears you, understands you, and makes everything magically beautiful and unique. Two days before my wedding I called Angelene very stressed out that I had made all the wrong decisions about design - she talked me through everything and reassured me of my vision. We could not have been happier with our wedding flowers and the incredible woman who designed them! Angelene is the most genuine, authentic, available human I have had the pleasure of meeting. My first contact with her was a cold call email seeking connection with other like-minded individuals working in the wedding industry. Not only was her message heartfelt--I could hear her speaking the words to me without even knowing what her voice sounded like--but you could tell she took the time and care to know who I was through my work and online presence. I immediately scheduled a coffee date with her and we settled into familiar conversation almost instantly. Angelene is a profound, creative thinker, a compassionate listener, and a hard worker. 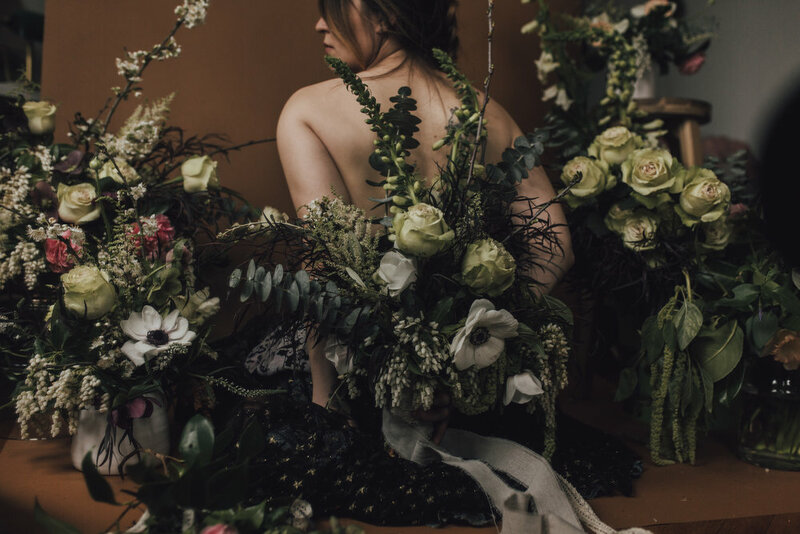 We have collaborated on many creative projects since that date and she is consistently a vendor who brings THE HEAT and all of her creative soul to bare in her floral design. She takes the time to establish a clear vision, review changes, communicate clearly, and work with enthusiasm. I would hire her for any floral project, anywhere, anytime. 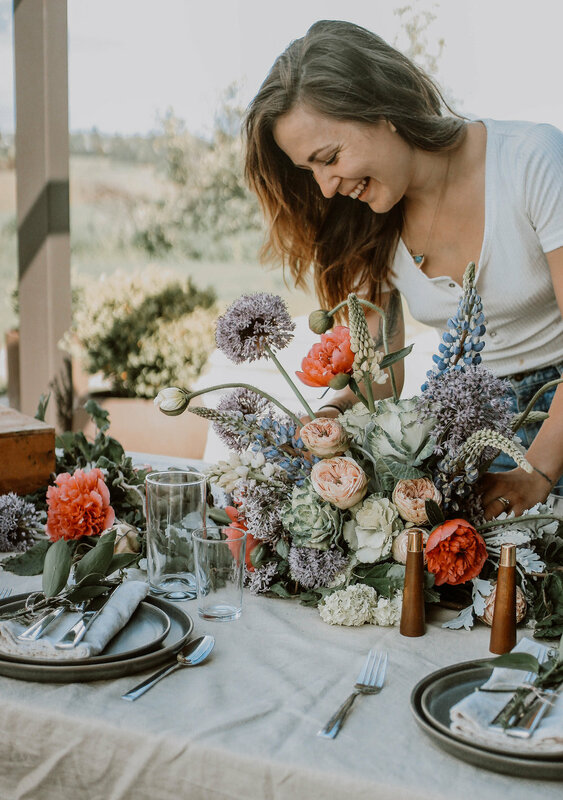 If you're looking for someone who will amplify your event or vision through floral design AND an attitude of enthusiasm, this is your person. Runaway With Me Elopements is the all-inclusive elopement experience. We are a collective of creatives in the Seattle area authoring your intimate love story and starting your grand adventure into marriage.